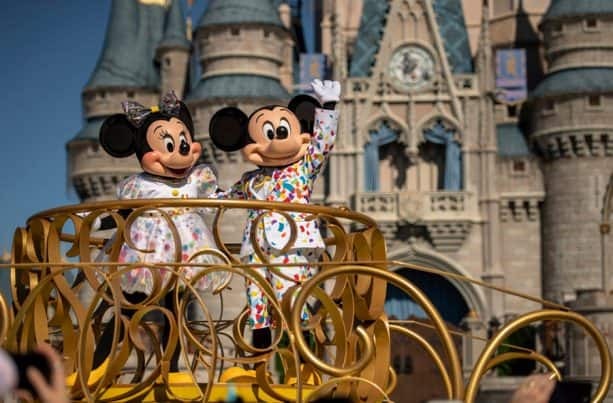 We previously announced that Mickey & Minnie’s Surprise Celebration has kicked off at Magic Kingdom Park within Walt Disney World. The celebration honors Mickey Mouse and Minnie Mouse, the original characters. The celebration will include special entertainment, merchandise offerings and themed food and beverage items. Guests can kick off the party by visiting Celebration Central, which is located in Town Square Theater on Main Street, U.S.A. In Celebration Central guests are able to sign the Celebration Guest Book and pick up the checklist of the great ways to join in the celebration while in the park. While at Town Square Theater, guests can meet Mickey and Minnie together. They will be dressed up in their party outfits, too! 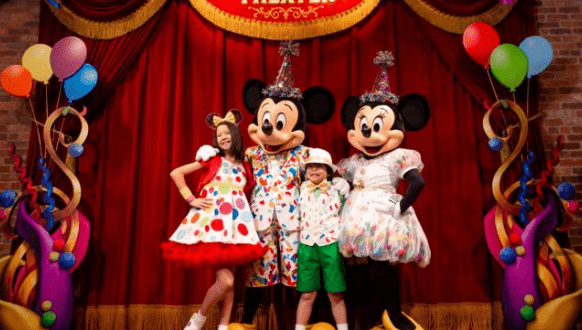 The show features characters like Donald Duck, Daisy Duck, Goofy, Max, Pluto, Chip ‘n Dale, Clarice, Clarabelle Cow, Horace Horsecollar, José Carioca and Panchito – and of course, Mickey Mouse and Minnie Mouse! You can also find other fun performances along Main Street, U.S.A including the Dapper Dans, the Casey’s Corner piano player, the Main Street Philharmonic and the Citizens of Main Street who get into the celebration events with special, musical surprise moments. The celebration will be offered now through September 30th, 2019. Who will be lucky enough to enjoy this celebration in person?